Registration fee is normally due 10 days before class starts to secure your seat. If you are within the 10 day period, please contact us to pay the registration fee. If you are selecting a Payment Plan please be aware of the required payment schedule. Additional Fees may apply depending on what items are required in order for you to enter the program. Please be sure to check the Bookstore. 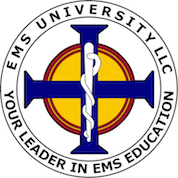 Fees are typical for entry into EMT programs across Arizona. Registration fees are non-refundable. Click Here to see estimated additional costs and/or fees. Payment options will also display on the next page.